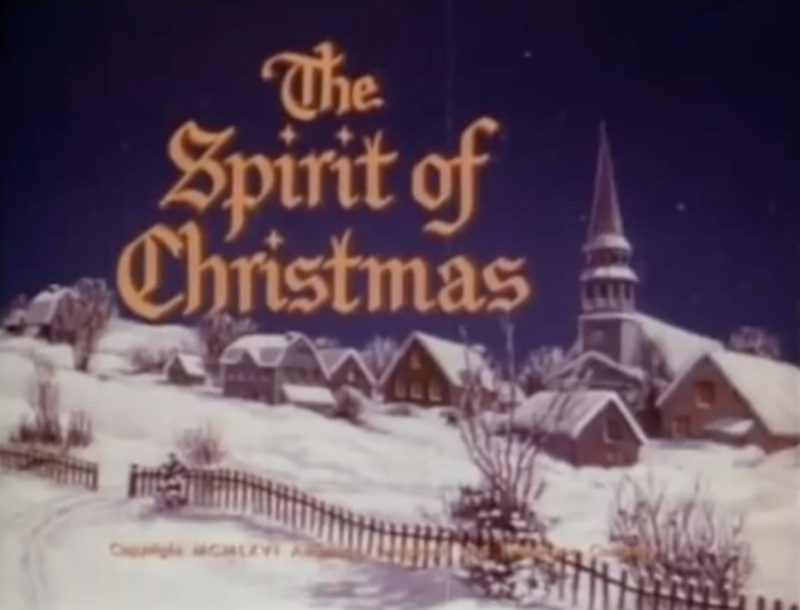 This strange Christmas special first hit broadcast in 1953, presented by “Your Telephone Company”. It was really Bell Telephone, but for some reason that’s never mentioned in the special. That’s just the first of many things that feel….off….about this video. 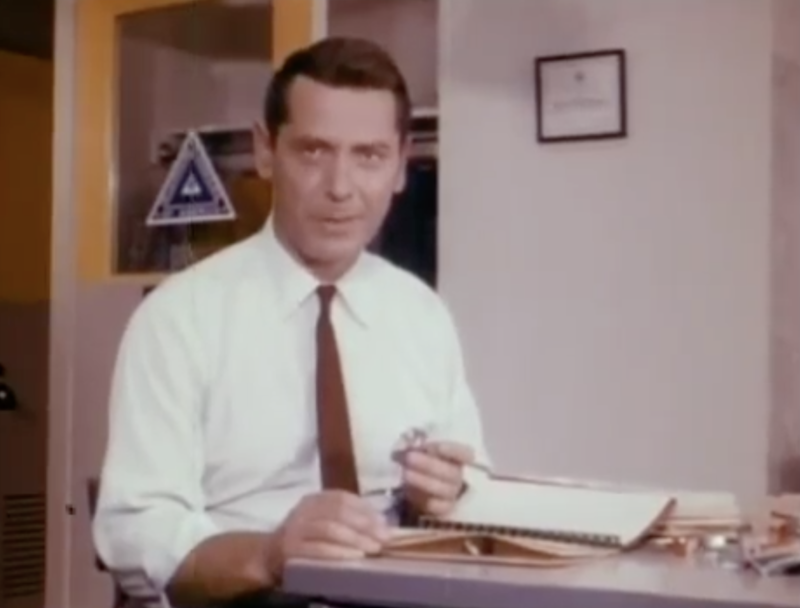 The unnamed host addresses us in a poor overdub, explaining how he and the rest of the telephone company employees are busy creating books in braille for blind children. Okay. 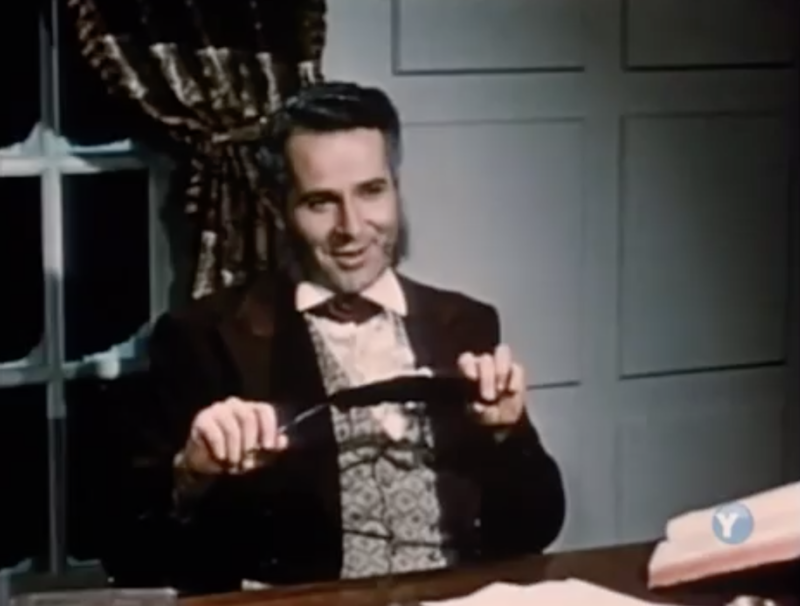 He then throws to an overlong scene in which he, as Clement Moore, gets the inspiration to write The Night Before Christmas. 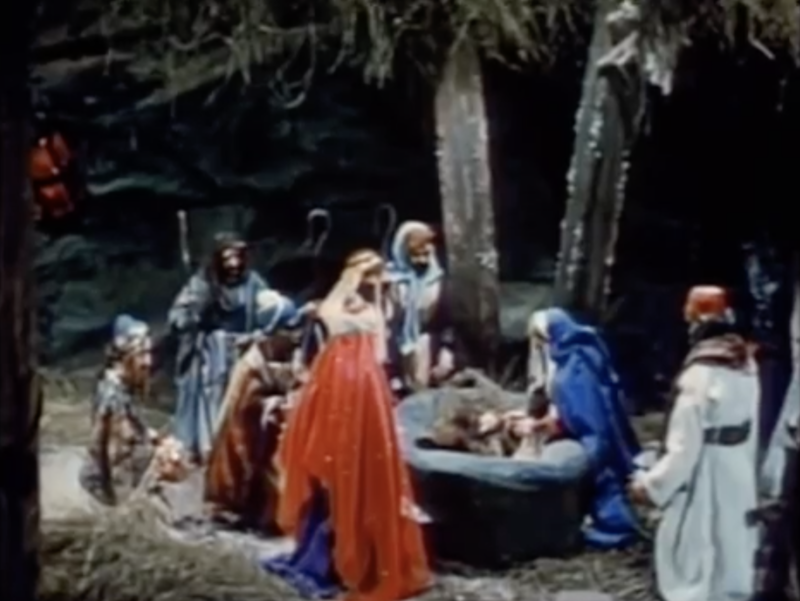 The Night Before Christmas lasts for half of the special, and we switch gears to a straightforward telling of the birth of Jesus. Again, using marionette puppets. To be fair, this is significantly less creepy than the previous segment, but still. Is it just their faces that makes it creepy? Once Jesus is born and the three Wisemen show up we’re given another round of ‘hey isn’t Your Telephone Company great’ and we’re done. A very odd Christmas special. Even more odd (and special) is that it was produced in color even though color TVs weren’t really a thing yet. I’m glad it was; for all my gripes about its creepiness, the special does look great and really captures the era. Here it is. Here’s a fascinating video from 1992, where Dennis Miller acts as a pitch-man for an eerily prescient Video-On-Demand idea for Blockbuster Video years ahead of its time. They get so much right, just a decade too soon. Somewhere on the spectrum between Chatbot and Alphie, there’s Casey Cassette. That growling Santa Claus song he sings is pretty impressive! Alternately titled “Coke and Layout Design Go Together”. 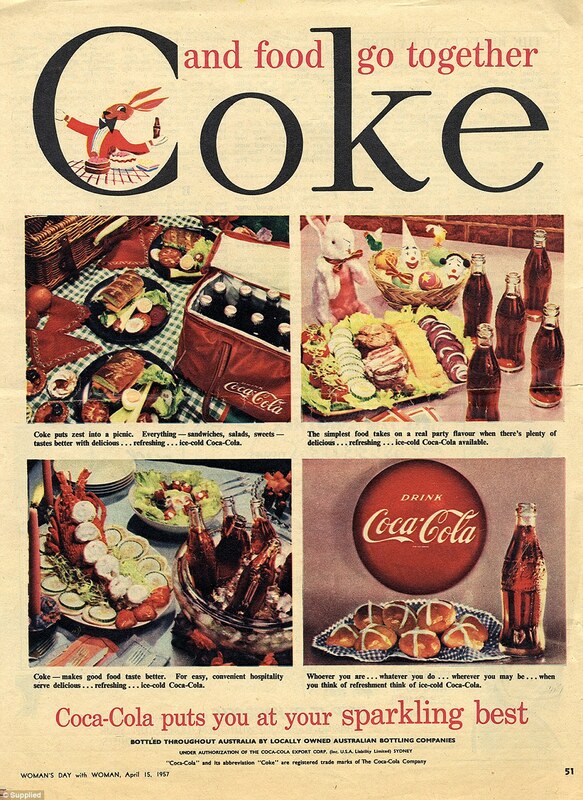 This 1957 Australian magazine ad for Coke is fantastic. 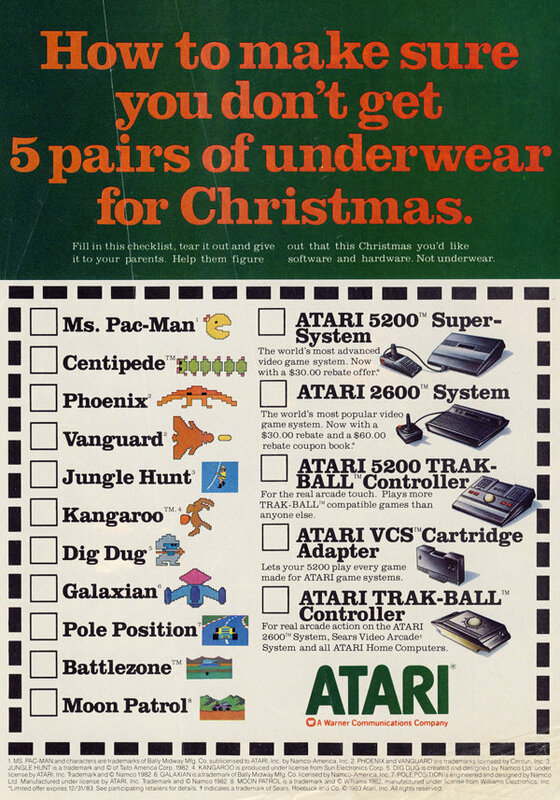 The thing that gets me most about this ad is the call-to-action with the dotted line, suggesting that any parent receiving this checklist would give it the time of day.